Undercover mission which force you to wear civilian clothes until your squad is detected. Robert Hammer’s Pistolpack is supported. If all players have the addon the ammobox is placed at the startplace. GVSE’s Chrisitan1987 MP7Pack is supported. If all players have the addon the ammobox is placed at the startplace. 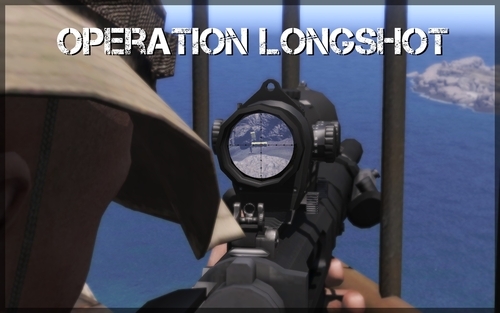 Operation Longshot is a cooperative multiplayermission with the target to destroy an enemy mortarposition at a little island. The mission has also two optional tasks, destroy a patrolboat and blow up a communicationtower.